**Woah. I was told to fix this up more before it would be posted. I was hoping to upload the finetuned feet and body sliders before it was approved. Oh well. UPDATE: 4/6 -- finetuned feet slider and included the Toe Size slider (combination of the Toe Length and Toe Height), which must be used in place of the feet sliders for compatibility with the body sliders I've made. Wooo, finally. 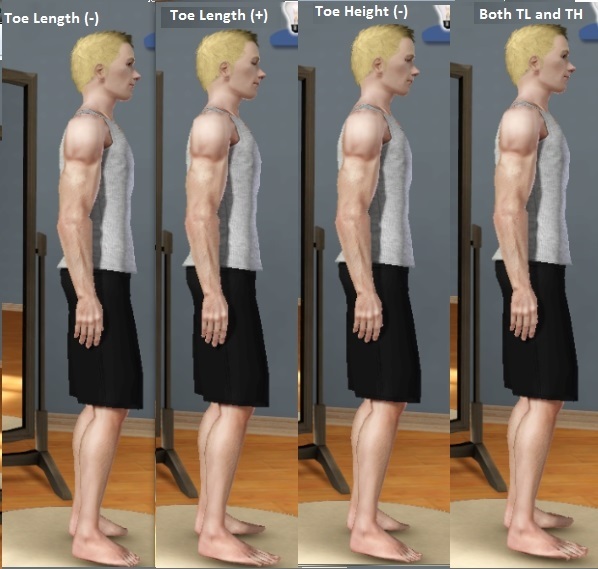 Some working feet sliders for your sims. I finally have something to give back to the modding community! These sliders are fully functional and are designed to be used in conjunction with one another. However, the Foot Sliders will conflict with the calf sliders that I've made, so you must use the Toe Size slider (recently uploaded) in their place. I've spent my entire break trying to make them compatible, but I just can't find a workaround. 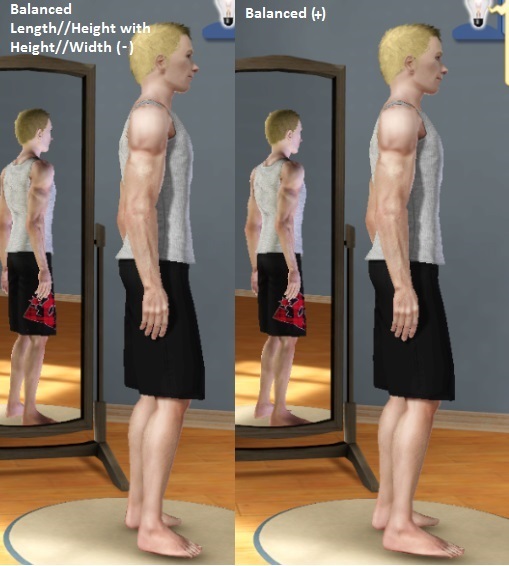 The Toe Size slider will look... all right for sims with shoes, but they may look weird without them. Or, you may choose to not download the calf sliders -- it depends on you. They also work with bloom's feet and should work with every game version. You will find these sliders in the global mouth section of the CAS. Also note, when your sims are lying down, you may experience feet shaking if you used the Foot Sliders. I'm not aware of any other problems, but unless you use the Toe Sliders in place of the Foot Sliders, there is no way for me to fix it. 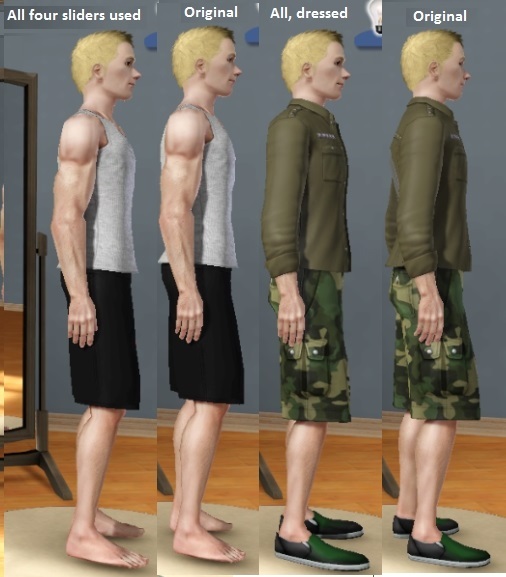 There are a couple reasons why I split the feet sliders into components: the most important is because I wanted to give leeway to people shaping their sims. Another important reason is how I couldn't alter one specific component of a foot without causing the feet to shake; however, there was a workaround. To fix the shaking, it was necessary for me to change another component of the foot. That's why you have two sliders with two properties changed, e.g. Length//Height and Height//Width. 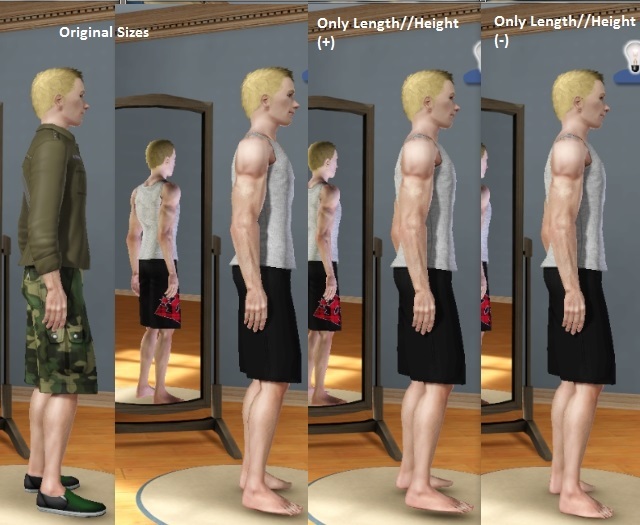 Unfortunately, this method does not give people full control over how they want their sim's feet to look like. With this method, it's impossible to have wide and long feet, or short and narrow feet, for instance (or you could, but it would make the feet rise or sink into the ground). Believe me, I tried everything to get around this, but to no avail. So long/narrow and short/wide feet it is. I would rather have it be the other way around too, but tough luck. However, There may be another workaround, which should be fine for feet in shoes: you may use the Toe Size sliders to expand the feet's size when they are small and wide, or shrink them when they are long and narrow. I can't say how the actual, uncovered feet will look after this, but it's something to try or think about. A HUGE thank you to Delphy for his tools (CAS Slider Template and Bone Delta Editor), PL Jones for S3PE, and Whiterider for the fantastic bone tutorial. I also want to thank CmarNYC for her awesome modding advice that floats around this site.